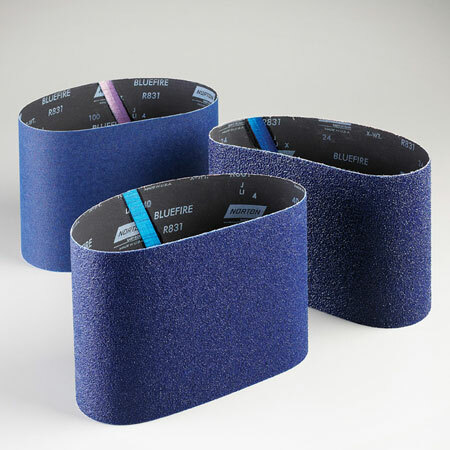 Norton Abrasives BlueFire Floor Sanding Belt 80 Grit represents superior performing products for the user who requires a high level of productivity and low total abrasive cost while providing outstanding performance. Next generation zirconia grain technology provides an even faster cut and longer life, making it the professional’s choice for all residential floor sanding applications. The anti-static treatment provides a better finish and cleaner work environment.